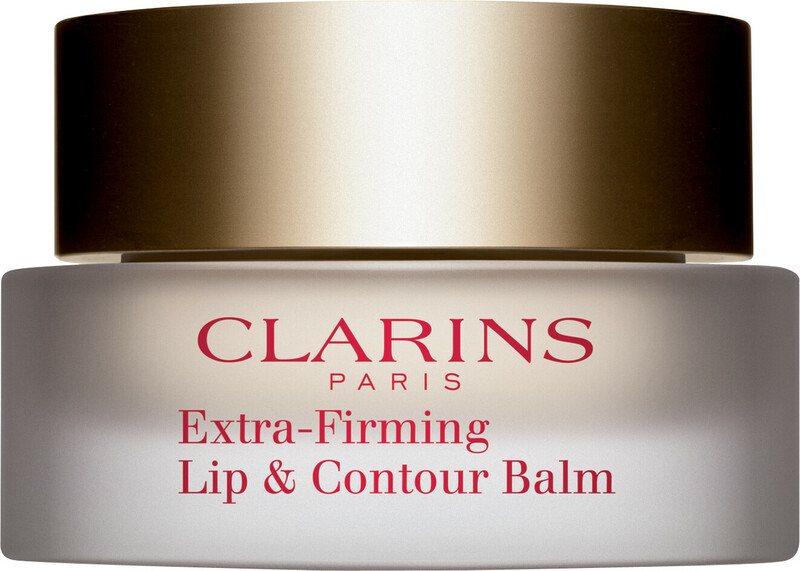 The Clarins Extra-Firming Lip and Contour Balm is a nourishing and smoothing formulation for the lips and their contour. This little pot will sort out fine lines and wrinkles to give the area a more youthful appearance. Used daily, the balm will plump lips, soften them and repair dryness. With a delicate fragrance of star anise, cardamom, cinnamon and vanilla, this luxurious lip treatment is an delectable treat. 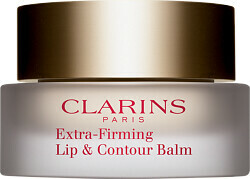 Clarins Extra-Firming Lip and Contour Balm 15ml is rated 4.5 out of 5 by 8. Rated 4 out of 5 by EdnaM from Jury's out I'm still unsure about this product. It feels nice on. Doesn't really taste. Makes my lips feel smooth but as yet nothing to make it stand out from others. Probably go back to Clarins lip perfecting base as it's easier to apply and happy with it. Pleased I tried this one though. Rated 5 out of 5 by Karin from Feels luxury This balm is lasting on the lips, and with the amount you get it will sure last you a very long time as well. You don't need to put on much on the lips, yet you can feel the hydrating properties. The smell is exactly what it says it will smell like. To me it smell like sugar and cinnamon, yum. I don't know about the firming properties since I don't have any lines yet. But to me I like the smell and the feel of it, and that it hydrates my lips without feeling sticky. It's a keeper on my nightstand. Rated 3 out of 5 by MrsBen from I expected more This is the first Clarins product I've used which I wouldn't purchase again. The 'delicate fragrance of star anise, cardamom, cinnamon and vanilla' is non-existent, the claim that it will plump up lips and that it smoothes lines sadly hasn't seemed to work for me after a month of trying. This was the reason I bought it. I will say however, that it does make my lips softer, they feel almost 'protected', not in a sticky lip balm sort of way. Having said that for the price I wouldn't buy any more. Rated 5 out of 5 by Deanie from Clarins Lip and contour balm This product was introduced to me by a Clarins beautician a few years ago and I cannot live without it. It not only helps the lines above the lip, but also is a great lip balm - no more dry lips. Highly recommend.